The Spring/Summer 2013 Playtime New York show, held August 4-6, 2012, proved a winner for all involved with 13% more visitors than the previous year’s Playtime event. 90 international brands, of which two-thirds were from the U.S., were on hand to strut their stuff and strut they did. Once again, Playtime New York brought together all key sectors of the children’s universe including clothing, shoes, accessories, jewelry, décor and gifts, making it the ideal show for buyers who can easily familiarize themselves with the broad range of goods available. This edition of the show took place at 82 Mercer, in the easily accessible, super high-style venue right in the heart of Manhattan’s Soho district, itself a beacon for fashion and flair. Working around the theme “Dreams,” the trend spaces, freshly imagined by Julie Malait and designed by three American artists, gave buyers a sneak peek into trends in the children’s market that lie ahead for Summer 2013. In an additional burst of creativity, American illustrator Patrick Hruby provided insight into his striking, geometric universe displaying new looks for the next Winter versions of Playtime that will be unveiled in Paris, Tokyo and then again in New York. 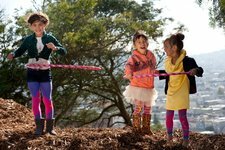 With so much to offer, Playtime has positioned itself as the must-visit trade show for children’s fashions, gifts and accessories. Here’s a peek at some of our favorites: Luna Leggings, Baby Baazaar, Cutility and Everbloom. 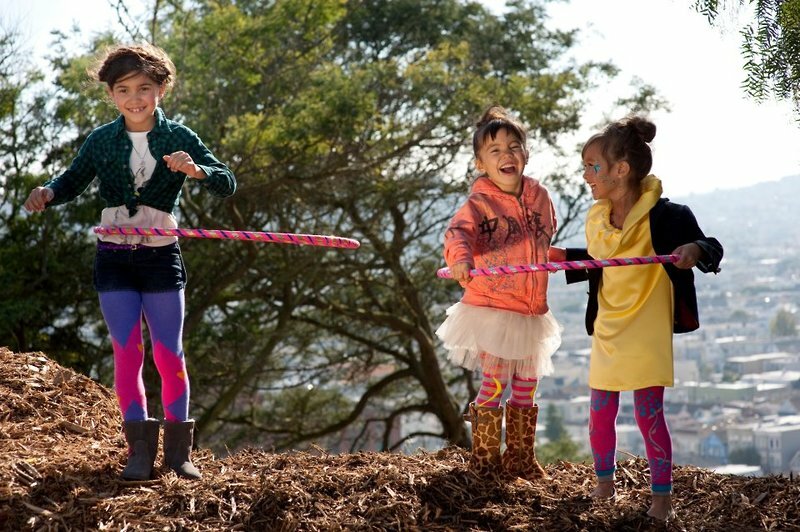 Drawing on an edible garden for inspiration, California-based Luna Leggings offers a yummy group of children’s tights and leggings. Dip into Blueberry: footless tights with an attached tutu skirt that highlight little legs with vibrant berries set against a bright pink ground. Perhaps some of your customers may prefer Strawberries? Also stock this delicious design, another footless number, with juicy berries standing out boldly against a gray ground embellished with a yellow swirl. More footless looks minus the skirt include the graceful purple and gray Butterfly on orange; Grass, a white ground with sinuous pink and blue “blades” swirling up the leg; and Heart, color-blocked for a bold look in pink and purple with bright yellow accents. Striped Heart, for sizes 1 through 4, are pink and gray with yellow feet and swirls, made of 80% organic cotton, 15% nylon and 5% Lycra for great fit. White trees climb jade legs with the addition of a sprinkle of stars in Night Owl. Thick Luna Leggings are durable and long-wearing yet incredibly comfortable as well as a charming addition to any outfit. As part of the company’s mission to “give back”, Luna donates 10% of their profits to the Edible Schoolyard Project — a San Francisco Bay Area-based organization founded by celebrity chef Alice Waters. Edible Schoolyard teaches middle school students how to cook the food that they grow at school, helping educating children about a healthy lifestyle. 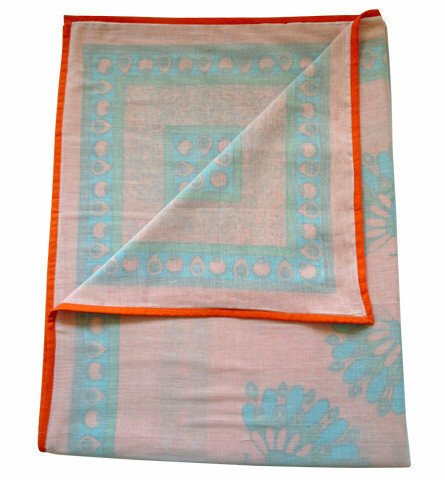 For original baby goods with a practical vibe, take a look at Baby Baazaar, starting with their stunning, screen-printed Quilted Cotton Blankets. Measuring 30” by 40”, the bold tiger print comes in blue and green while the exotic peacock is available in yellow and orange. 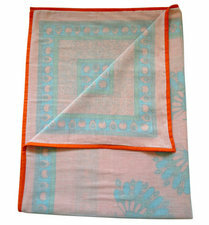 Blankets are handmade in Jaipur, India, crafted of cotton voile and filled with 100% cotton batting using only azo-free dyes. For customers seeking a lighter weight blanket for use as a cover-up, swaddle or travel item, show them the Layered Muslin Blanket that comes in the same size as the Quilted. These feathery soft layers are made with printed cotton fabric in the center sandwiched between two layers of muslin, allowing the design to show through in a subtle, elegant fashion. 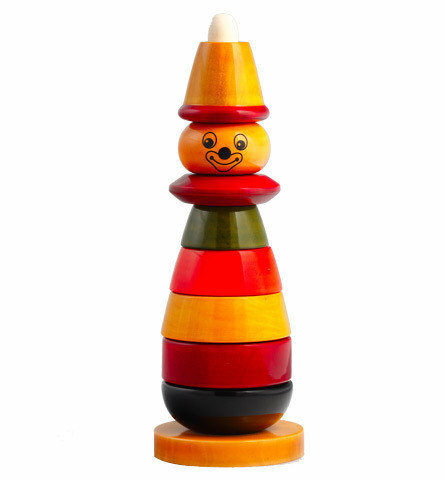 Baby Baazaar also offers enchanting, organic wood toys like Chip-Chop, a push toy with a winning smile on his face and Tutti Turtle who has emerged from his bright red shell asking to be pulled along, as well as the highly original Square Rattle combining rounds and rods. Toys are made of Hale wood that is not treated chemically and finished with a natural resin so they are eminently safe for even the youngest children. All Baby Baazaar toys have passed US safety standards and are ASTM approved. Take a “C” that stands for “comfort” and join it to “utility” and what do you get? Cutility, a new twist for napping ease that springs from an old heritage. This comfortable, portable, versatile pillow mat can turn any surface — including a lap — into a comfy place where baby can relax and drift off. The concept comes from child-rearing techniques practiced by midwives; specifically Cutility founder Dorraine Burrell’s great grandmother and aunt, both midwives who emigrated from the Portuguese colony of Cape Verde to South America in the early 1900s. This pillow helps sooth little ones so they get to sleep, a boon both to restless kids and caregivers looking for some rest for themselves. 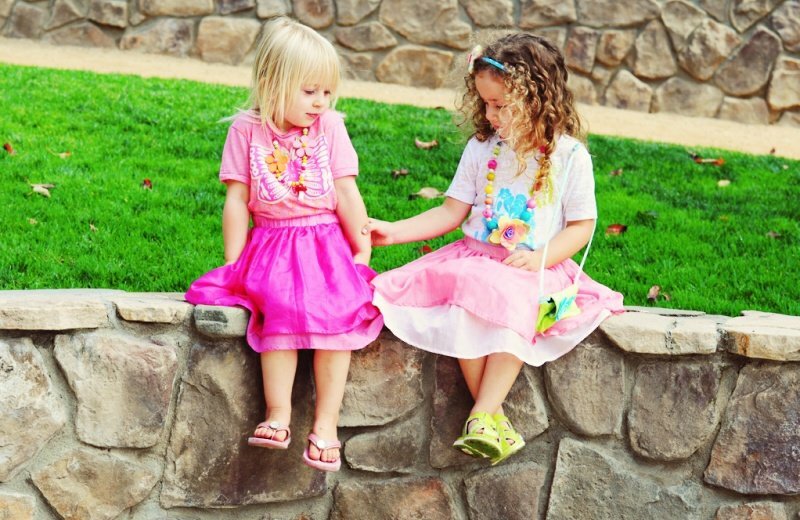 When kids are a little older, the Cutility serves as a personal place for them to rest, play and roll around on. Made of organic, anti-microbial bamboo cotton jersey and muslin-lined cushiony foam, the Fall 2012 collection debuted at Playtime in three exciting colors: Babushka Pink, Bright Moon Blue, and Brilliant Baby Blue. Each of these pillow mats comes with instructions for a napping technique as well as a special travel bag and iron-on letters to enable buyers to customize their pillow with a child’s name of special phrase. Who among your shoppers can resist a pillow that encourages napping? Accessories freshen up an “old” look and add pop to a new one. As a bonus, they demand very little storage space, a boon to customers with more stuff than space. Everbloom presents hand-crafted necklaces, brooches, bags and headbands that make any outfit, old or new, a showstopper! Hot Pink Birdie features a little songster of wool felt and cotton fabric suspended from pink, yellow, orange and green wooden beads, strung on a waxed cotton cord that slips over the head. 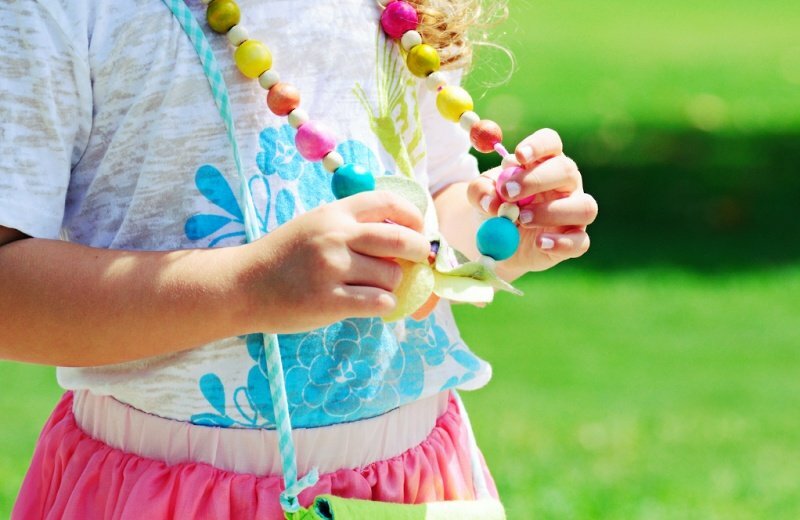 Anyone shopping for a little miss would be enraptured with Pink Dragonfly, a necklace of pink wooden beads interspersed with a random cream bead that features a turquoise and pink dot dragonfly off to the side. This necklace measures approximately 20” long and is finished with a silver-plated magnet clasp at the back. 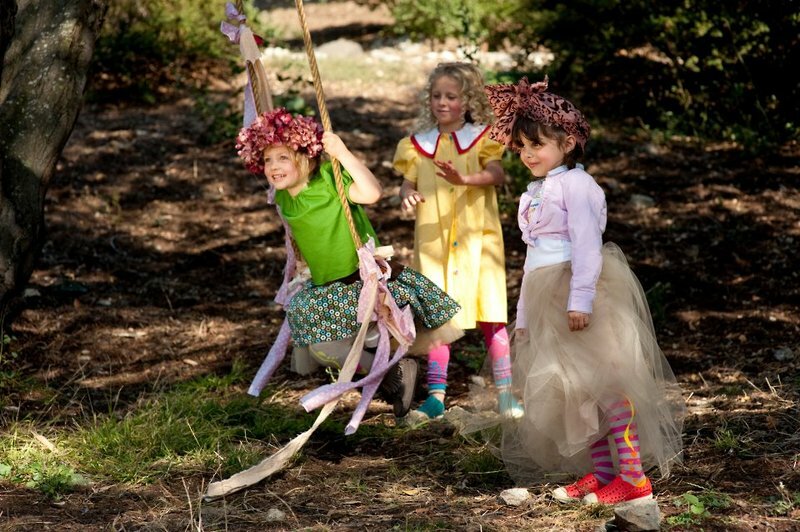 Customers on the lookout for ways to tame girls’ hair will be delighted with the Lavender Birdie Headband featuring a lavender tweeter ready to fly away on yellow felt wings perched on a metal band covered in hot pink and white dot cotton, or the spectacular Floral Crown in heavy natural wool felt with three flowers, each with a distressed stone at the center. For maximum adjustability, the crown has a washed soft pink silk tie at the back. 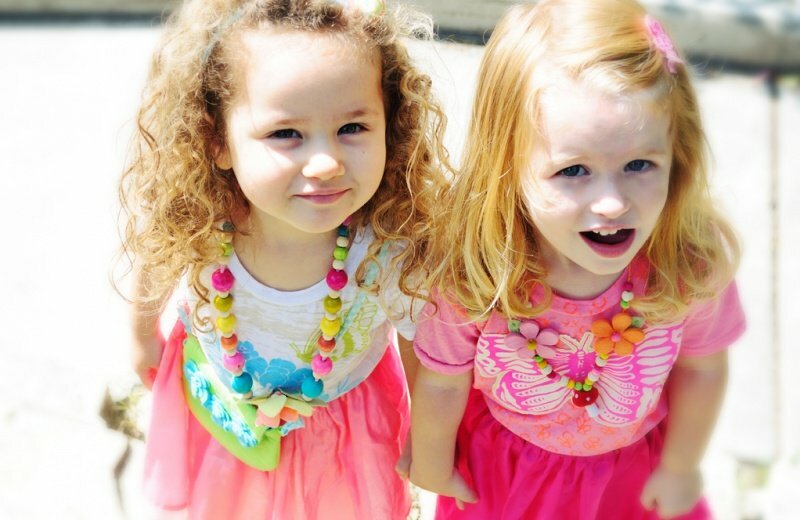 All jewelry and hair accessories fit girls 3-12. Small wool felt purses add just the right finishing touch to any outfit and come in lime green, pink, purple, yellow and just about any color a young miss would fancy. These winsome purses feature a flower, bird or dragonfly on the flap, are lined and close with a magnetic snap. Stock good-looking accessories like these and watch your customers snap them up!